Below are the FOX TV show ratings averages as of Sunday, January 27, 2013; the end of week 18 of the 2012-13 season. Ratings are typically the best way to tell if a show will be cancelled or renewed. Week-to-week gains: Glee, Bones, Raising Hope, and Kitchen Nightmares. Week-to-week losses: The Simpsons, Family Guy, New Girl, American Dad, Bob’s Burgers, The Cleveland Show, The Mindy Project, Ben and Kate, and American Idol (both nights). New this week: The Following. Click here to see if there’s a more recent FOX list or, to view past lists. 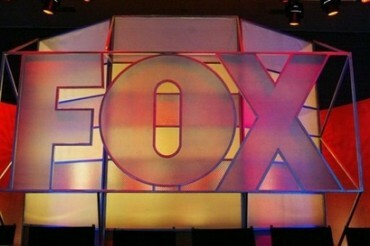 Want more info on recent/current/future FOX shows? Check our latest FOX network status page to see which shows have been cancelled or renewed, how many episodes there are this season, and when shows will be returning or premiering. These charts incorporate the daily final FOX show ratings (reported by Nielsen) and are sorted by the 18-49 demographic. Network advertisers typically prize those viewers most and so will pay more to reach them. There’s lots of information that the networks take into consideration when cancelling or renewing a TV series but the ratings are the biggest factor. The higher the ratings, the better chance that the show will be renewed. And yes, they take it into account when a show airs on a Friday or Saturday night.